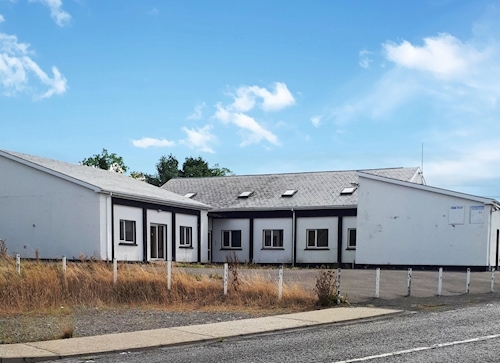 61 Residential 12 Creedaun, Creevagh beg, Ballymahon, Co. Longford, N39 X099 N/A €70,000. 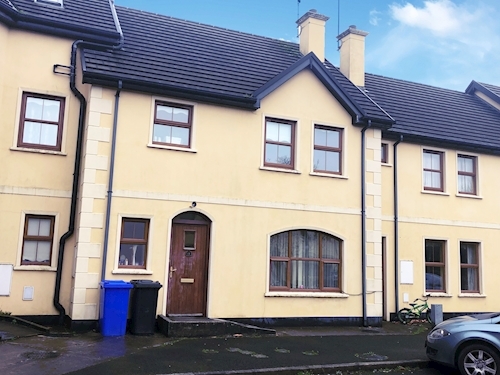 A ground floor one bedroom apartment subject to a tenancy at a current rent of €10,500 per annum. 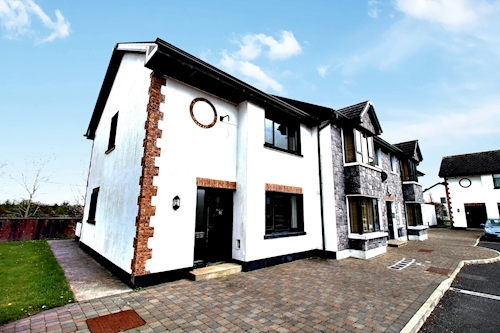 A ground floor two bedroom apartment subject to a tenancy at a current rent of €9,000 per annum. A second floor two bedroom apartment extending to approximately 63 sq. m (678 sq. ft). A sixth floor two bedroom apartment extending to approximately 67 sq. m (721 sq. ft). A first floor two bedroom apartment extending to approximately 60 sq. m (650 sq. ft). A mid terrace four bedroom house extending to approximately 121 sq. m (1,302 sq. ft). A third floor two bedroom apartment extending to approximately 58 sq. m (624 sq. ft). 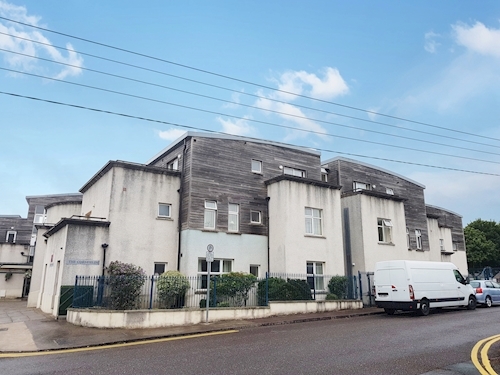 A ground floor one bedroom apartment subject to a tenancy at a current rent of €5,280 with vacant possession. 7 x two bedroom apartments and 2 x one bedroom apartments. 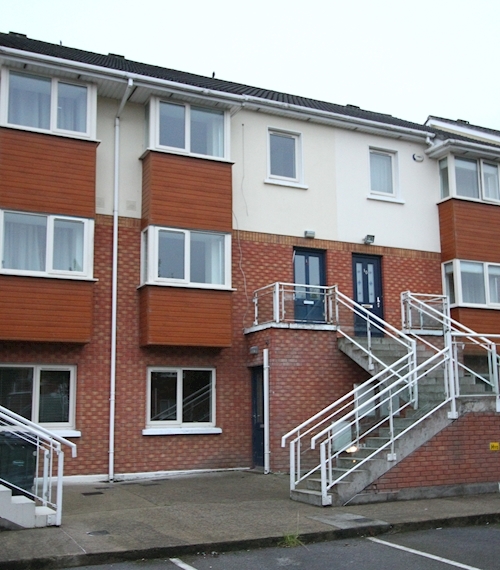 A second floor two bedroom apartment subject to a tenancy at a current rent of €20,096.04 per annum. 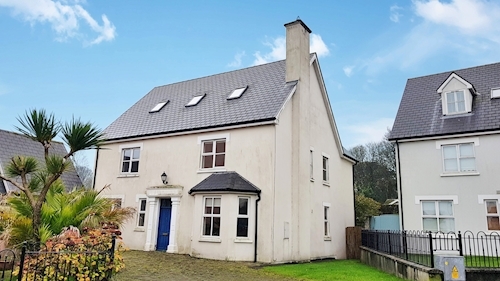 A semi detached four bedroom house extending to approximately 140 sq. m (1,507 sq. ft). 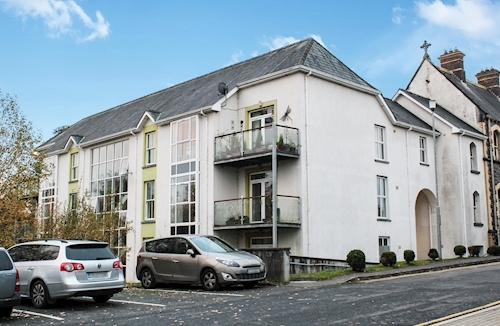 A ground floor two bedroom apartment subject to a tenancy at a current rent of €16,800 per annum. 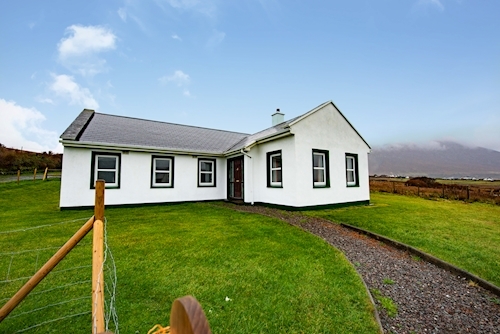 A ground floor two bedroom apartment subject to a tenancy at a rent of €16,200 per annum. 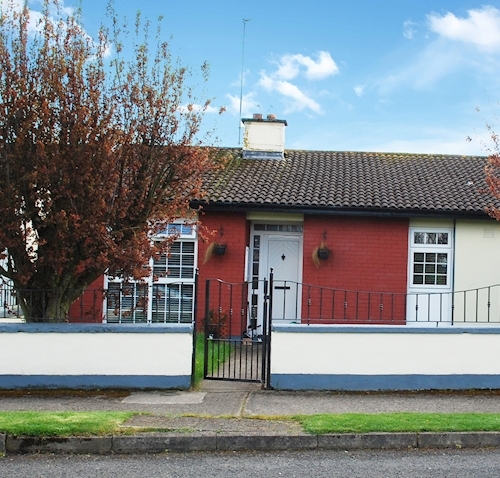 A detached three bedroom house subject to a tenancy at a current rent of €10,800 per annum. A mid terrace three bedroom house extending to approximately 113 sq. m (1,209 sq. ft). A duplex four bedroom apartment extending to approximately 103 sq. m (1,108 sq. ft). 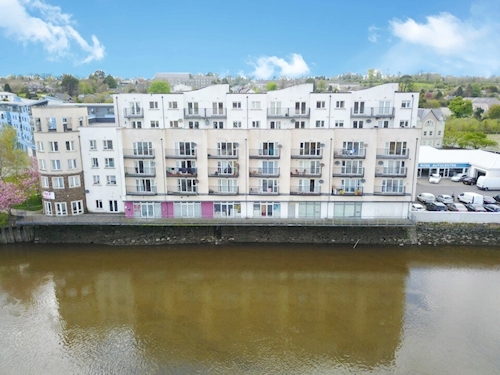 A ground floor two bedroom apartment extending to approximately 90 sq.m (968 sq.ft). 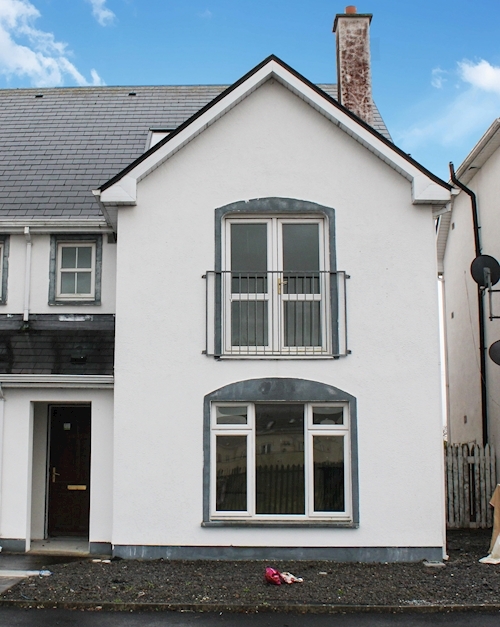 A second floor two bedroom apartment extending to approximately 67 sq. m (721 sq.. ft). 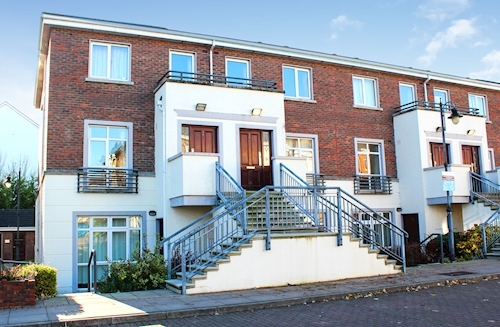 A first floor two bedroom apartment subject to a tenancy at a current rent of €5,160 per annum. 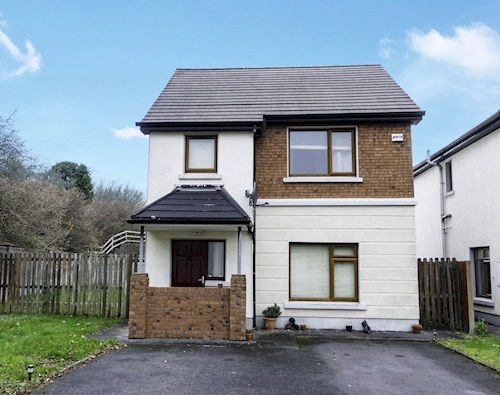 A mid terrace three bedroom house, subject to a tenancy at a current rent of €5,400 per annum. 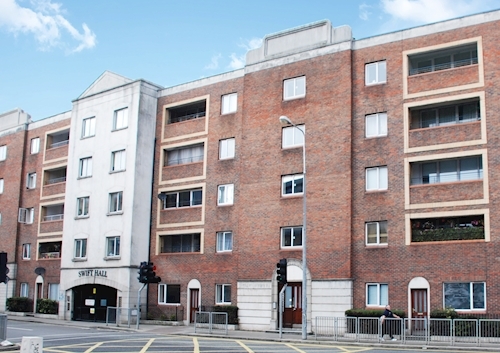 A ground floor two bedroom apartment with vacant possession. A mid terrace three bedroom house extending to approximately 124 sq. m (1.335 sq. ft). 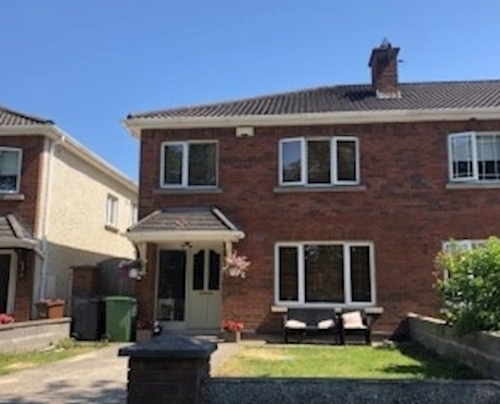 An end of terrace three bedroom house subject to a tenancy at a current rent of €8,400 per annum. 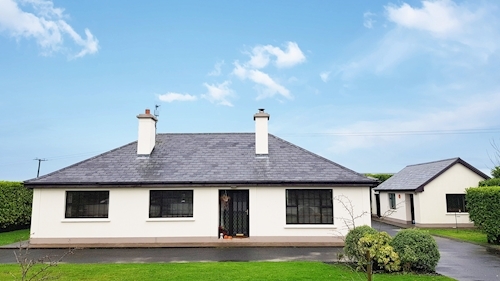 Detached three bedroom bungalow subject to a tenancy at a rent of €4,800 per annum. 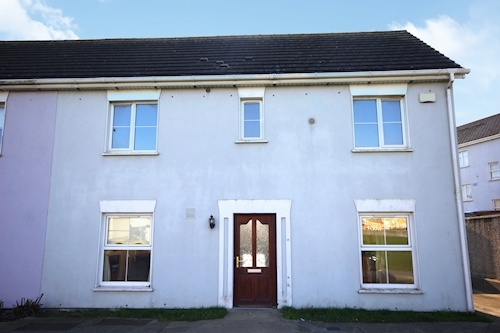 Semi detached three bedroom house extending to approximately 115 sq. m (1,237 sq. ft). 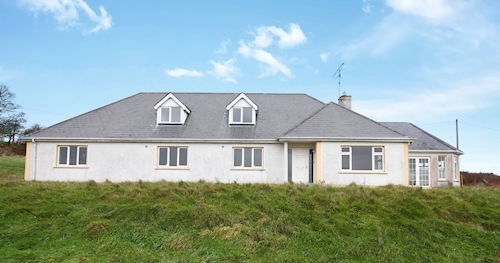 A detached four bedroom holiday home with vacant possession. 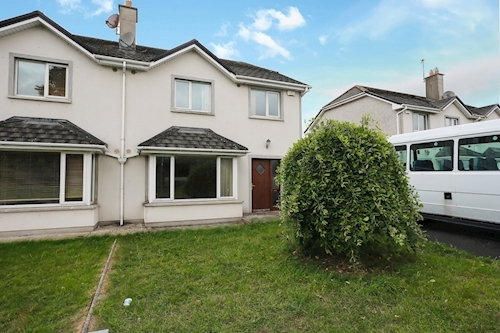 A semi detached three bedroom house extending to approximately 73 sq. m (780 sq. ft). A semi detached three bedroom house extending to approximately 117 sq. m (1,259 sq. ft). A detached four bedroom house extending to approximately 137 sq. m (1,474 sq. ft). A semi detached four bedroom house extending to approximately 101 sq. m (1,087 sq. ft). Mid terrace three bedroom house extending to approximately 98 sq. m (1,055 sq. ft). A semi detached three bedroom house extending to approximately 108 sq. m (1,163 sq. ft). 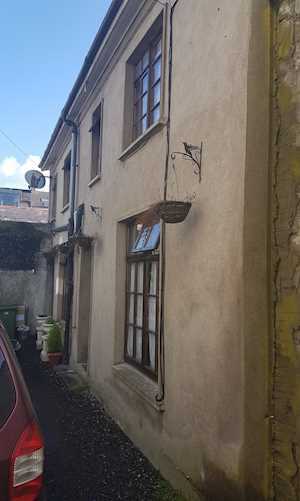 End of terrace two bedroom house extending to approximately 68 sq. m (731 sq. ft). 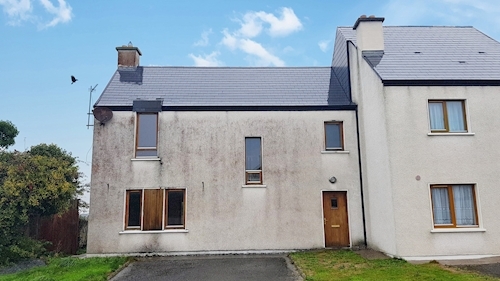 A first and second floor three bedroom duplex apartment subject to a tenancy at €10,800 per annum. A first floor one bedroom apartment extending to approximately 44 sq. m (474 sq. ft). 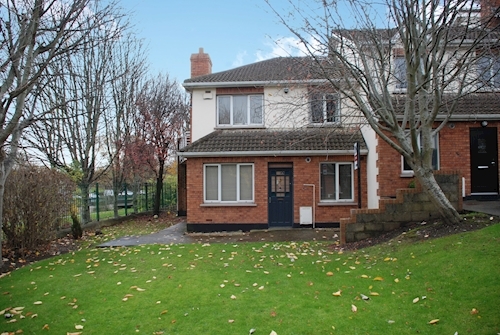 A semi detached three bedroom house extending to approximately 112 sq. m (1,205 sq. ft). 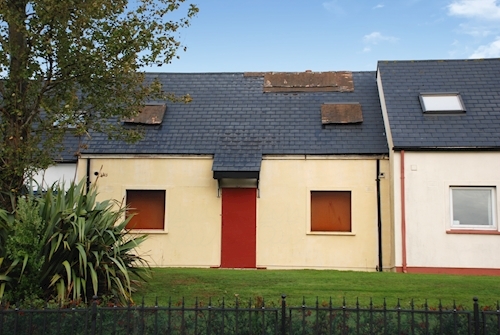 2 x Two bedroom mid terraced houses, to be offered collectively as one lot. One subject to a tenancy. 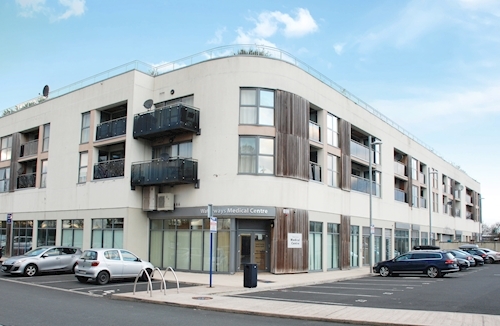 A ground floor two bedroom apartment extending to approximately 106 sq. m (1,141 sq. ft). 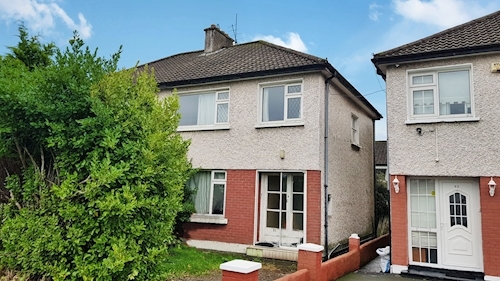 A semi detached three bedroom house subject to a tenancy at €10,800 per annum. 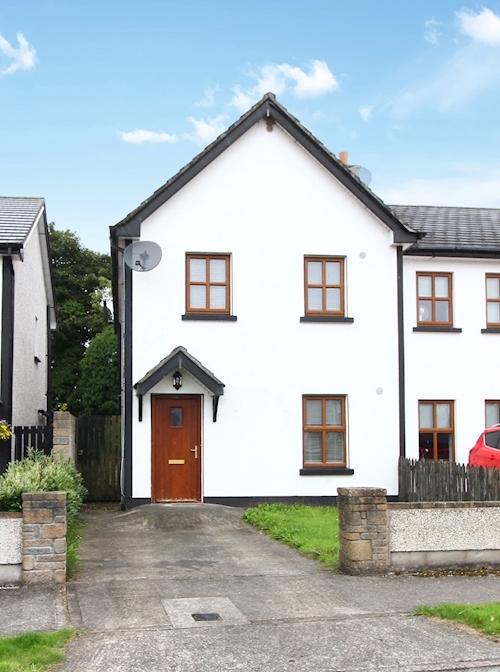 A semi detached three bedroom house subject to a tenancy at a current rent of €10,920 per annum. 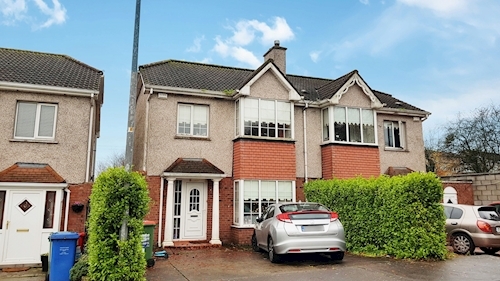 A semi detached three bedroom house subject to a tenancy at €6,000 per annum. 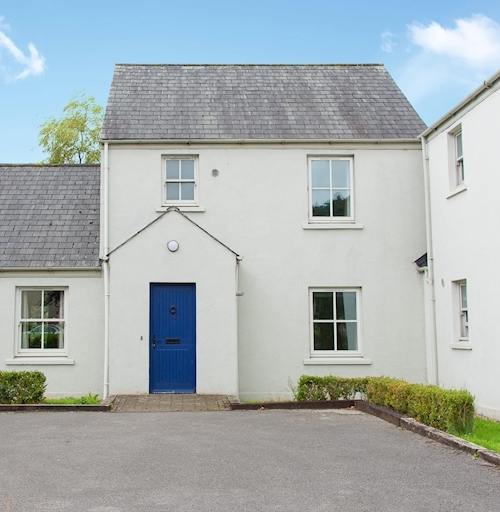 A detached five bedroom house extending to approximately 293 sq. m (3,158 sq. ft). An end of terrace three bedroom house extending to approximately 81 sq. m (872 sq. ft). An end of terrace three bedroom house extending to approximately 80 sq. m (861 sq. ft). 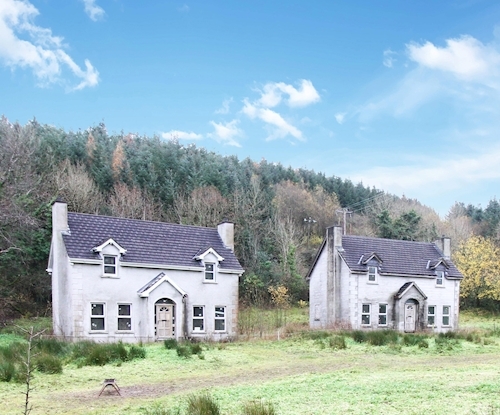 Two partially complete four bedroom houses, each extends to approximately 122 sq. m (1,313 sq. ft). A semi detached three bedroom house extending to approximately 102 sq. m (1,098 sq. ft). A semi detached three bedroom house extending to approximately 91 sq. m (979 sq. ft). 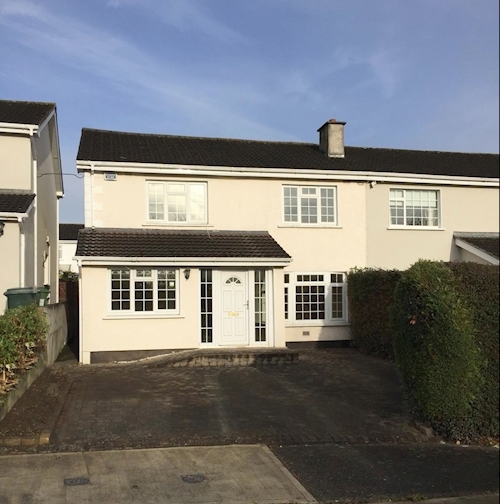 A semi detached three bedroom house subject to a tenancy at a current rent of €14,400 per annum. A mid terrace three bedroom house extending to approximately 148 sq. m (1,593 sq. ft). 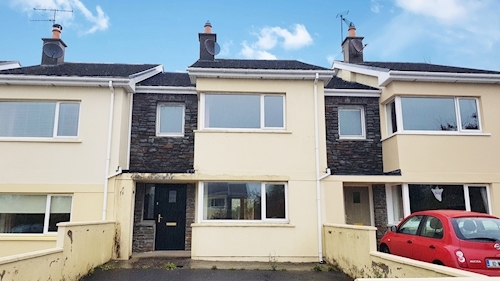 Mid terrace two bedroom house subject to a tenancy at a current rent of €11,400 per annum.